Once again, it is that time of year when we get together with members, friends and prospective members. This year we meet to celebrate 25 years of accomplishments, reaffirm our goals describe our plans for the next 25 years and simply enjoy the company. We will gather at the Island Hotel Patio Sunday, February 17th, 2019 from 4 to 6 pm to enjoy finger foods catered by the Hotel and talk over a glass of wine in a lovely setting. 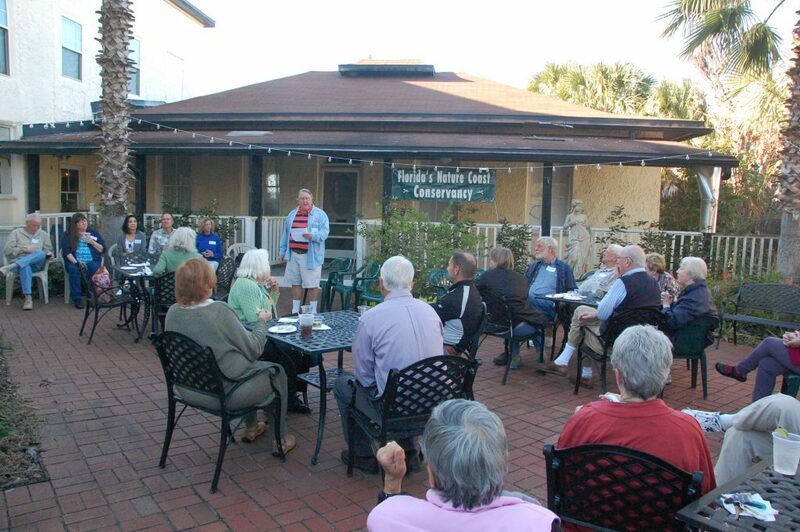 Please join us to learn more about the Nature Coast Conservancy! If you are a current member we will have renewal forms available. If you are contemplating membership we would love to have you on board! Single memberships are $15 and family memberships are $25.